If you’re a soon-to-be bride or groom, you’re going to be the star of the show on your wedding day. For some, being the center of attention sounds like a dream. But for others, walking down the aisle can feel completely dreadful. 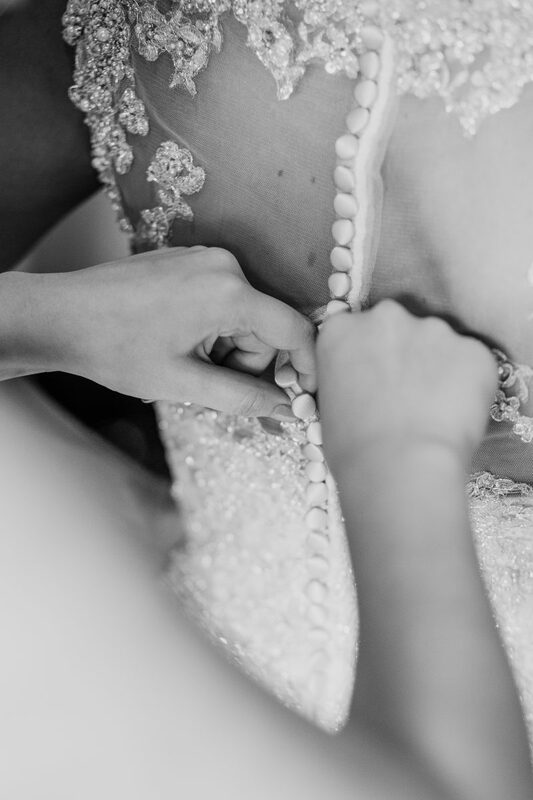 If the thought of walking down the aisle stresses you out more than actually planning the wedding, keep these tips in mind to calm your nerves. If there’s one person who can calm you down, it’s your spouse-to-be! Not only will seeing your partner at the end of the aisle fill you with joy, but having one spot to focus on can keep you from feeling distracted and nervous. Something else that might help? Plan a first look — you’ll eliminate the nerves of what your partner will think when first seeing you in your wedding day attire. On the other hand, seeing a trusted family member or friend in the crowd could help settle your nerves and remind you that the only people looking at you are those who love you. Ask a friend to snag a seat on the aisle so you can easily find her and catch her eye. It’s easy to imagine the many things that could go wrong — but that won’t help anything. Instead, think about all the things that will go wonderfully: the many compliments you’ll get on your dress, the ceremony going off without a hitch, and (oh yeah) being married by the time the ceremony is done. Make the dreaded walk down the aisle easier by keeping the aisle short — less walk time needed! Plus, keep your aisle decor minimum. Skip the aisle runner and avoid decor like lanterns or hanging flowers. Fewer things to trip over! At first thought, several cups of coffee may seem like a good idea — you’ll be more alert, right? Well, you’ll also be more jittery, and jitters can feel a lot like nerves. Stick to a small cup of coffee or, better yet, cut it out all together on your wedding day. Admittedly, wedding mornings are often a bit hectic, but try to squeeze in a relaxing ritual before all the craziness begins. Maybe that’s a some morning meditation, a quick yoga session, or a massage before your hair appointment. Whatever helps you relax should be a priority on your wedding morning. Hopefully the chill vibes will stay with you until the ceremony! What’s more relaxing that a glass of champagne? An alcoholic beverage can provide just the right amount of stress relief. But keep it at one drink — any more and you risk getting tipsy, which definitely won’t help you stay steady.